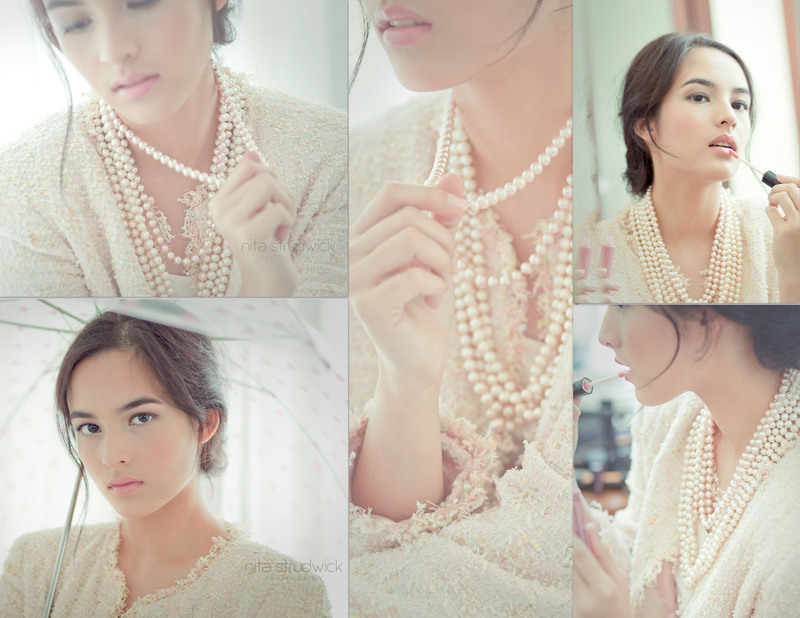 I first met Chelsea Islan at an exhibition of Estu Susanto’s work. Frankly, my first impressions were that she was a smart and very friendly person with a fabulous complexion that I really wanted to photograph! We talked about her acting and her latest movie, Street Society (already showing at Indonesian’s cinemas). She also shared with me her thoughts of what’s new in Jakarta; much appreciated, as I have only been back in Jakarta a few months. Then a few weeks later we bumped into each other again in Starbucks and we made an arrangement for a photo shoot at my studio. During our session she was simply great and provided some really stimulating ideas. I loved her look and her expression. Here are some of the images, I tried to created a vintage look which I then edited with soft colours. With her modelling skills and talents I have no doubt that Chelsea’s presence in the Indonesian film industry will be a long one. Thank you for my make up artist friend, Jasmine who helped me during the session.